Kid Koala in Montreal or Quebec City? Inform me about the next events for Kid Koala. Enroll yourself to our priority waiting list for Kid Koala to be alerted when new tickets are available. Filling this form doesn't engage you to any purchase. 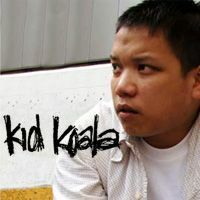 Kid Koala will be performing at the Montreal Biosphere (on Ste-Helene Island) from Friday July 15th to the 17th, 2011. This will part of Kid Koala's new Space Cadet Headphone Tour. There will be 5 sets: one on Friday July 15th (at 7pm), two on Saturday July 16th (3pm and 6pm) and two on Sunday July 17th (3pm and 6pm).